This was most likely yelled out of the car of a passerby who undoubtedly thought their commentary was hilarious, but fails to realize that everyone else also thinks this popular movie reference is hilarious. You’ve heard it before. 2) “Running is bad for your knees”. If we’ve heard it once, we’ve heard it a million times. Running is supposedly bad for our knees. The warning comes from loved ones, concerned for our well being. It comes from people with bad knees who are looking for a place to lay the blame. And it comes from the mouths of people who might not really have any idea what they are talking about, but they have also heard the “running is bad for your knees” rumor so often that they believe it must be true. But is it true? No, not the part about runners being slightly crazy, the part about your knees. No. Running itself is NOT bad for your knees…for most people. The act of constantly pounding your joints on the pavement does inherently seem harsh, so it would only make sense that it is bad for your body. However, it is important to remember that the parts that make up our body (bones, muscles, joints, etc.) are not like the parts that make up a car or a machine. Machine parts wear down over time with use. Our “parts”, however, are living things. Because cartilage, or soft connective tissue that surrounds the bones in our knees, does not have arteries that deliver blood, it relies on the pumping action generated by movement to get its regular dose of oxygen and nutrients. Because of this, numerous studies have shown that runners actually have thicker and healthier knee cartilage than those who are sedentary. But, as with anything, there are always exceptions. Those with family history of arthritis, osteoarthritis (the breakdown of cartilage), or degenerative joint issues may be at a higher risk of developing these potential issues. In fact, experts seem to agree that genetics are the true determining factor of possible arthritis, and running will neither exacerbate nor prohibit the outcome. In other words, you can blame mom and dad if you develop osteoarthritis, but you can’t blame the running. Further, those with prior traumatic knee injuries might be at risk for continuing damage due to the act of running. 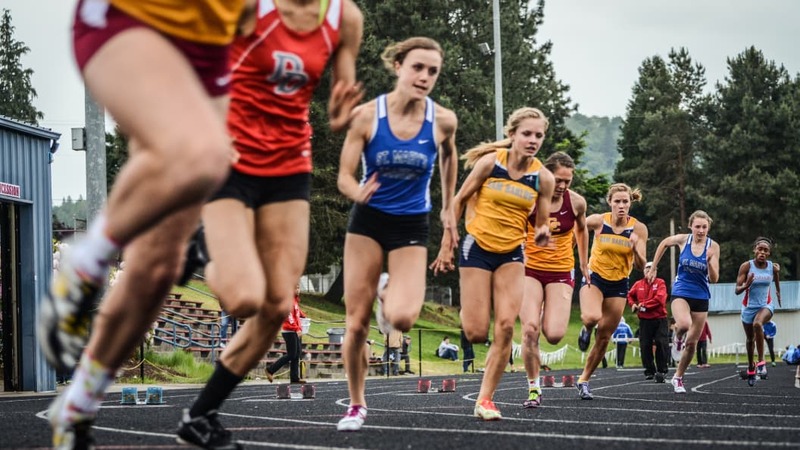 According to Runner’s World Sports Dr. Bill Roberts, people who have suffered ACL tears, regardless of repair status, are getting knees replaced 15-20 years earlier than their non-injured peers. Lastly, obesity may play a role in knee pain. For every pound of weight a person carries, they have four pounds on the knee when running. In other words, if you weigh 100 pounds, there are 400 pounds of force on the knee with each foot strike. While we’ve established that the pounding force of running on the joints is beneficial, too much force will cause pressure on the cartilage will break it down over time, possibly resulting in osteoarthritis. All of that said, even if you aren’t genetically at risk for joint issues, have experienced zero knee injuries in the past, and do not have an excessive amount of weight bearing down on your knees, there are still a few things you can do to keep your knees happy. Train smart: increase your mileage gradually, as to not put too much stress on your body at one time. Strength train: Overall strength ensures proper biomechanics and helps prevent any imbalances or weaknesses that may lead to possible injury. Don’t over do it: even too much of a good thing can be bad, and running is no exception. So, lace up your sneakers and hit the road…your knees will thank you.